writers we follow and friend, that one wonders how Mother Goose’s nursery rhyme would’ve gone in this age of BSP (that’s blatant self-promotion in case you’ve been lucky enough to escape it). The other day, I went to the trouble of reading all 74 direct messages I’d been sent on Twitter. At least half of them mirrored this exact formula: Hi! Thanks for following me. Please Like my page [link] Why? Does Liking a page really accomplish anything? For that matter, does amassing Twitter followers or Facebook friends accomplish anything? And if that kind of marketing doesn’t work, does any sort? I had a thirteen year journey to publication, and once I arrived at the starting line, I did the next logical thing. Rented out our house, traded in two cars for an SUV that could handle Denver in February, pulled the kids out of first and third grades to “car school” them in the backseat, and hit the road with my husband, touring the bookstores, libraries, and book clubs of this great country. All told, over the course of three releases in two and a half years, we’ve spent 13 months on the road. Book tours may or may not make dollars and cents, but they sure make dollars and sense. You might not sell enough books to cover your costs at any given event. But there will be connections, interactions, and moments in time that make each and every one worth doing. Their ripple effect can cause a bookseller to keep my book in stock months and months after it’s no longer new. Sometimes at a low turnout event, one of the few people in the audience winds up being a reviewer for a major paper. This is relation building, not marketing. And yet, the question comes up again and again. So is this what it takes to launch a career? Get off our devices and out into the bricks and mortar? Should we emphasize the face-to-face if the virtual world is too cluttered and clogged? Or does that not work either? Maybe nothing works. I think we first have to decide what “working” means. Phenom books and one hit wonders aside, most of us hope to build a lasting career as authors. That doesn’t mean buying 10,000 Twitter followers, it means organic growth. We want to find people who truly enjoy our work, and we hope that one day there will be enough of them to reach Malcom Gladwell’s tipping point. On the road I am cultivating connections with people one by one by one. I feel like I’m doing some things right because my publisher, who thought I was nuts on the first “world’s longest book tour,” helped set up a portion of this one. Events are growing in size and energy. I’ve started getting RTs and Shares that feel like people really care about what I’m doing out here, rather than just auto-clicking. I don’t necessarily recommend that you take a seven month book tour—although seven days might be worth looking into—but I do have 5 Top Tips that will help make your marketing a little more wholesome and from-the-heart…something of which even Mother Goose might approve. Figure out ways not to blast people, even though they’ll take more work. For example, most people list their locations on FB and Twitter. If you want to invite followers and friends to an in-person event, figure out the ones who are likely to come without having to buy a plane ticket. Experiment with different platforms and approaches until you know what you love to do, then do that. If Twitter confounds you, stop Tweeting. If you love putting together a newsletter, ask permission of your subscribe list, and make the content fun and interesting. Take the focus off yourself. Here’s a wager: You will sell more books by being genuinely interested in and supportive of others’ work. Even if you don’t, you’ll feel better about how you spend your days. Start the connecting right at the outset, with the type of promo you do. Join or launch a blog with a group of regular contributors whose content is linked; you’ll all support each other’s posts. Do paired author events. Organize panels for libraries or writers organizations. Jenny Milchman is a novelist from New York State, who lived for thirteen months on the road with her family on what Shelf Awareness called “the world’s longest book tour.” Jenny’s debut novel, Cover of Snow, won the Mary Higgins Clark award, was praised by the New York Times, AP, and many other publications, and chosen as an Indie Next and Target Pick. Ruin Falls, published the Top Ten of 2014 by Suspense Magazine. 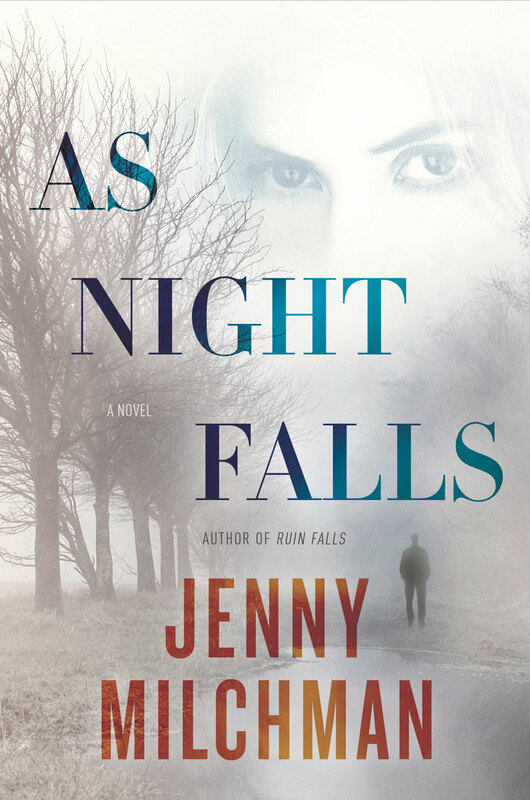 Jenny’s third novel, As Night Falls, also an Indie Next Pick, was one of this summer’s, PureWow’s Top 30. Jenny speaks nationwide about the publishing industry and the importance of sticking to a dream. 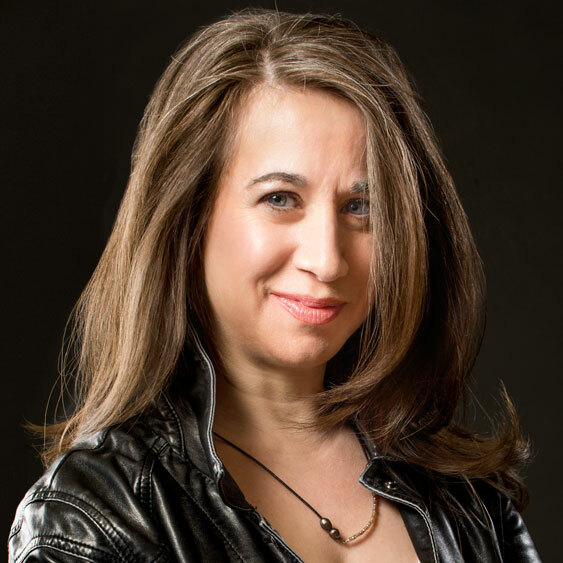 She is Vice President of Author Programming for International Thriller Writers, and the founder of Take Your Child to a Bookstore Day, which is celebrated in all 50 states and 6 foreign countries. Jenny teaches writing and publishing for New York Writers Workshop. Sandy Tremont is looking forward to a quiet evening with her family when two escaped convicts stumble upon her remote wilderness home. Or did they just happen to find her house? If she wants to save the people she loves most, Sandy will have to face the one truth she has always kept from them. Jenny is giving away a hardcover copy of As Night Falls to someone who writes a comment to this blog. (Sorry international readers, the winner must have an address within the United States.) Jenny will contact the winner by September 2nd, and will post the winner's name in the comment section of this blog. Good luck, all. You'll pass that tipping point soon, Jenny, I'm sure of it. Thanks for sharing the wisdom. Hi, Jenny. I agree with you about selecting the one or two things for self-promotion that you enjoy doing and then do those. Skip the others. Two years when my first mystery was released, my publisher wanted me to do everything. Even a book trailer...expensive. I tried everything. Now two years later on this summer with my second mystery out, I have dropped the things I do not enjoy doing. Life is much simpler that way. I do admire your long book tours and get it, entirely, about all those wonderful connections you are making. Golden. So glad to see two Houston gals here, Gay and Kay! (And your names even rhyme :) Gay...from your lips. I sure hope so. Kay, I think you're exactly right. I wonder, do you notice any difference between books one and two, given your differing approach? I agree, Jenny! So happy you wrote this. Wishing you the best! I assigned your names (Susan, Gay, and Kay) a number. Put numbered balls into a bowl and had someone other than me draw the winning number for a copy of Jenny's newest novel, AS NIGHT FALLS. Looks like it's . . . drum roll, please . . .Susan! Susan if you would email me your snail mail address: marjoriespages@gmail.com I will forward it to Jenny's publisher. Congratulations. And thanks to Kay and Gay for commenting. Write on, y'all.